The Patient Protection and Affordable Care Act (“PPACA”), sets forth requirements via the Internal Revenue Code Section 501(r) for hospital organizations to conduct a periodic assessment of health needs of those living in their service area. 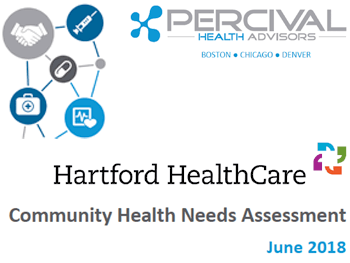 The Community Health Needs Assessment is a systematic, data-driven approach to determining the health status, behaviors and needs of residents in Hartford HealthCare’s service areas. The information garnered from the assessment may be used by Hartford HealthCare to inform decisions and guide efforts to improve community health and wellness. To reduce the health disparities among residents. By gathering demographic information along with health status and behavior data, it will be possible to identify population segments that are most at-risk for various diseases and injuries. To increase accessibility to preventive services for all community residents. More accessible preventive services will prove beneficial in accomplishing the first goal (improving health status, increasing life spans, and elevating the quality of life), as well as lowering the costs associated with caring for late-stage diseases resulting from a lack of preventive care. The information included in the needs assessment provides the foundation upon which community health programs and interventions can be targeted, developed, and evaluated with the ultimate goal of improving the health of the community and its members. 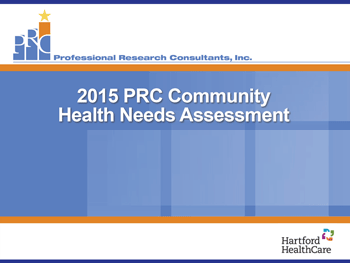 Hartford HealthCare partners have recently updated their Community Health Needs Assessments. Follow the links below to view these assessments. The Community Health Improvement Plan (CHIP) is Hartford HealthCare’s effort to address public health problems based on the results of community health assessment activities and the community health improvement process.